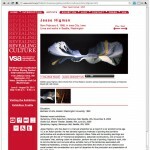 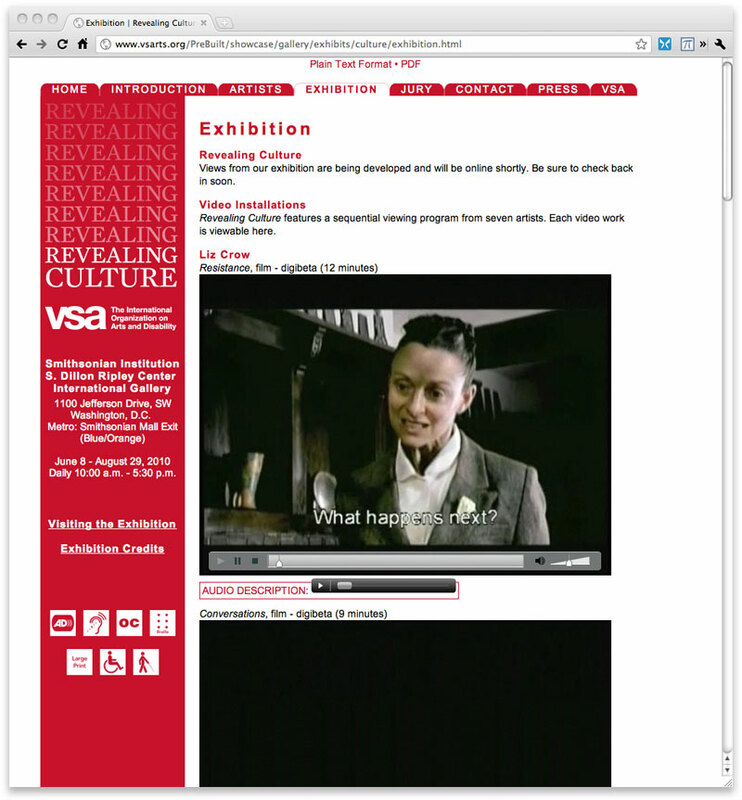 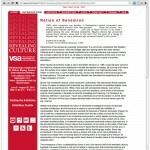 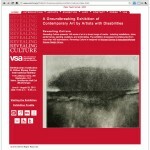 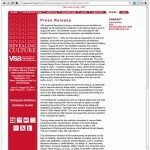 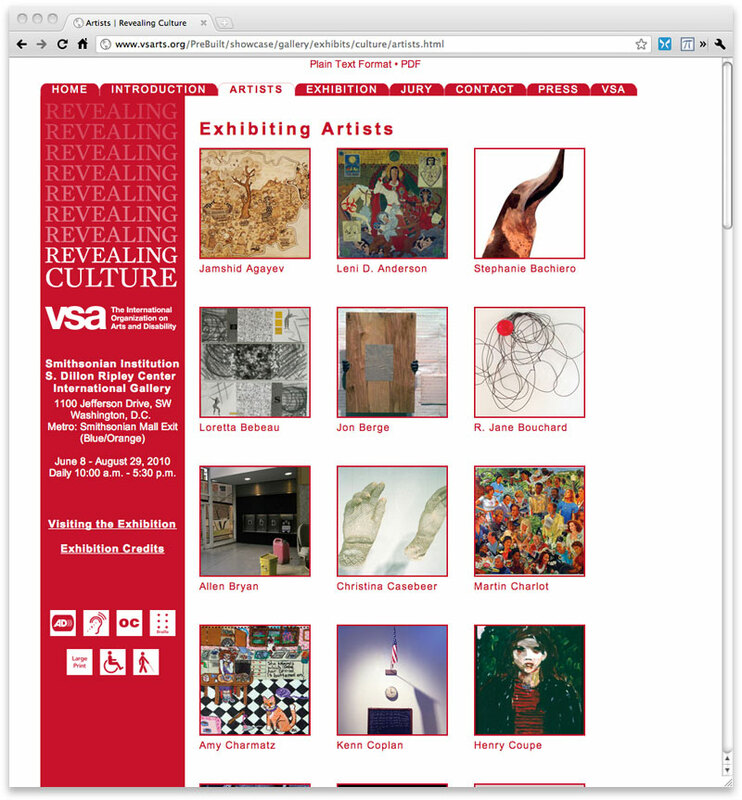 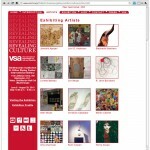 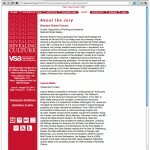 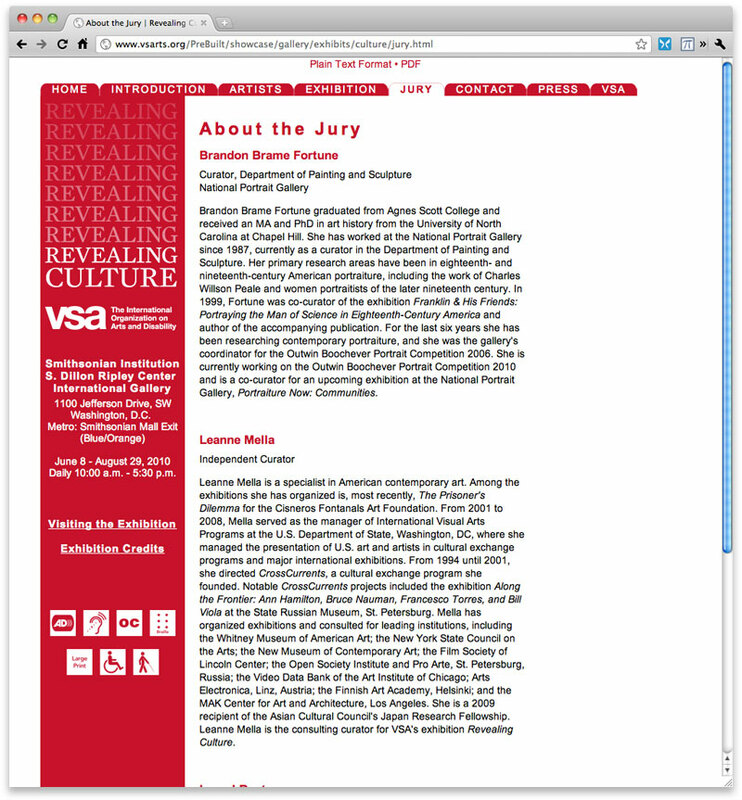 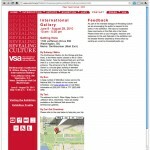 A website for VSA’s show "Revealing Culture." 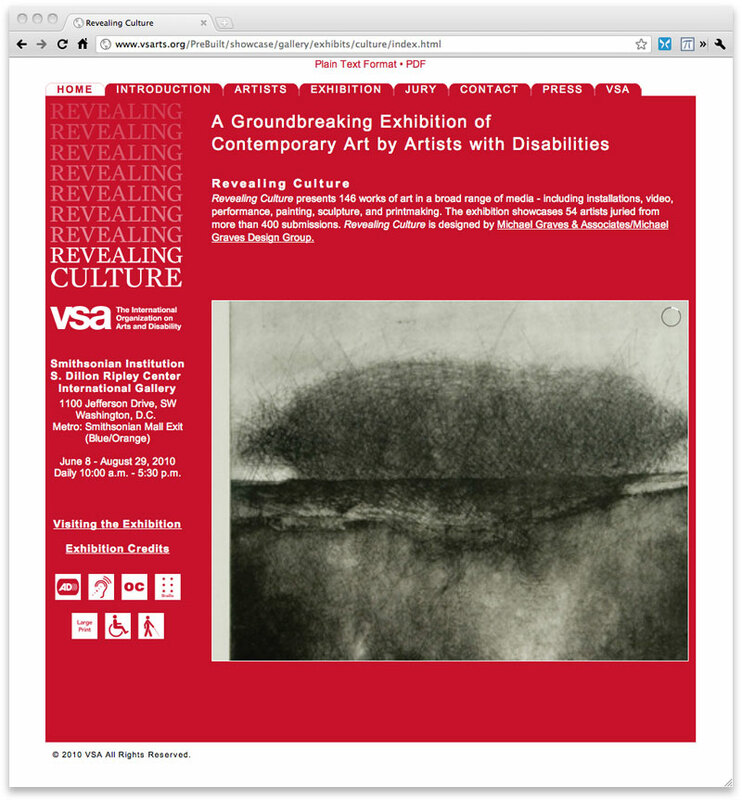 Full Section508 Web Accessibility compliance. 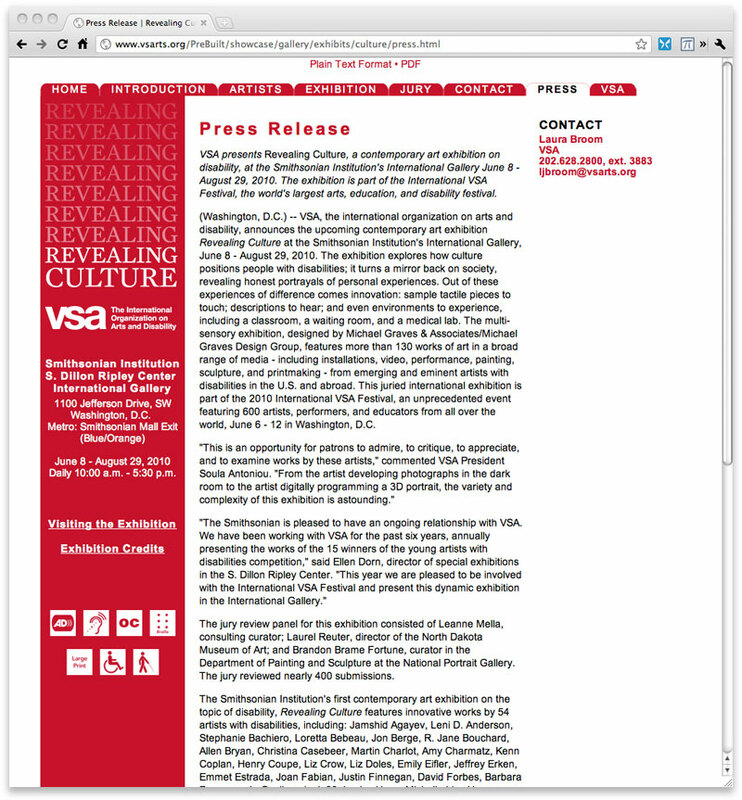 The Michael Grave Design Group was the primary designer for the massive show put on by VSA titled "Revealing Culture." 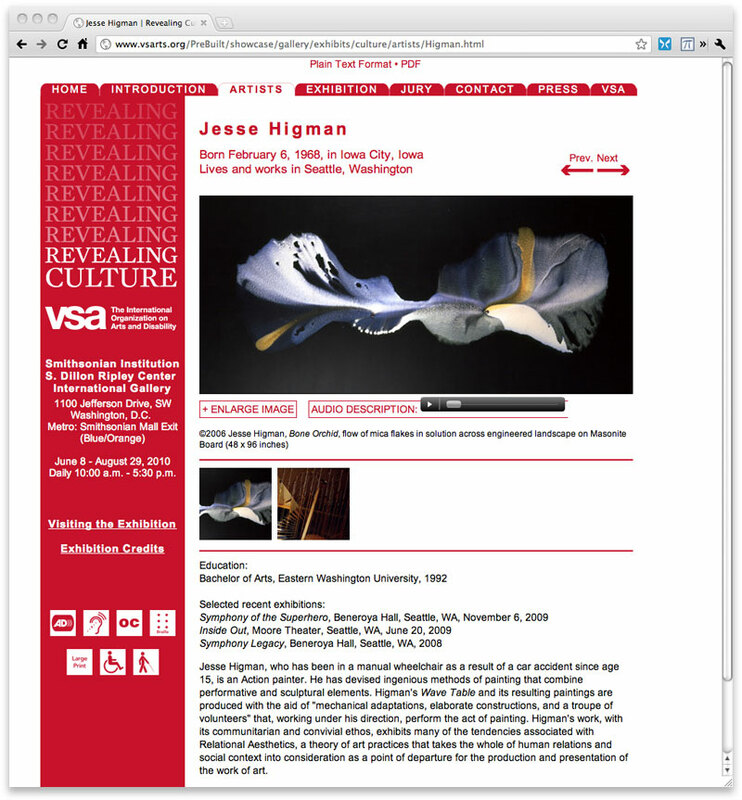 For the website portion of the project, I was hired to flesh out and program the entire static site, covering each artist, each artist’s art work for the show, audio descriptions, video artworks, critical essays, and more. 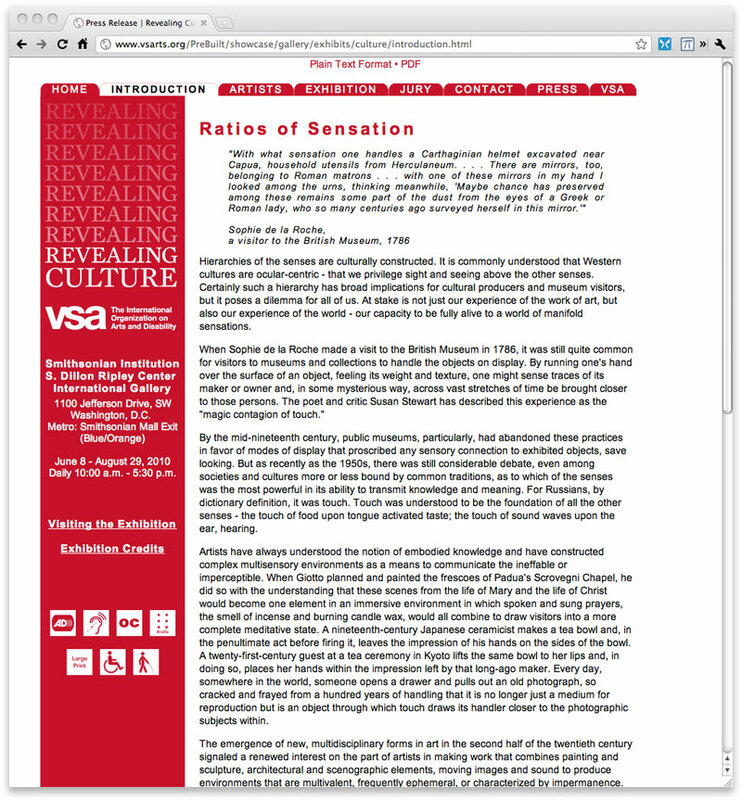 Perhaps MGDG was a bit overwhelmed with the rest of the show, the website designs I was provided with were fairly basic in concept without many of the vital and more difficult portions completely thought out. 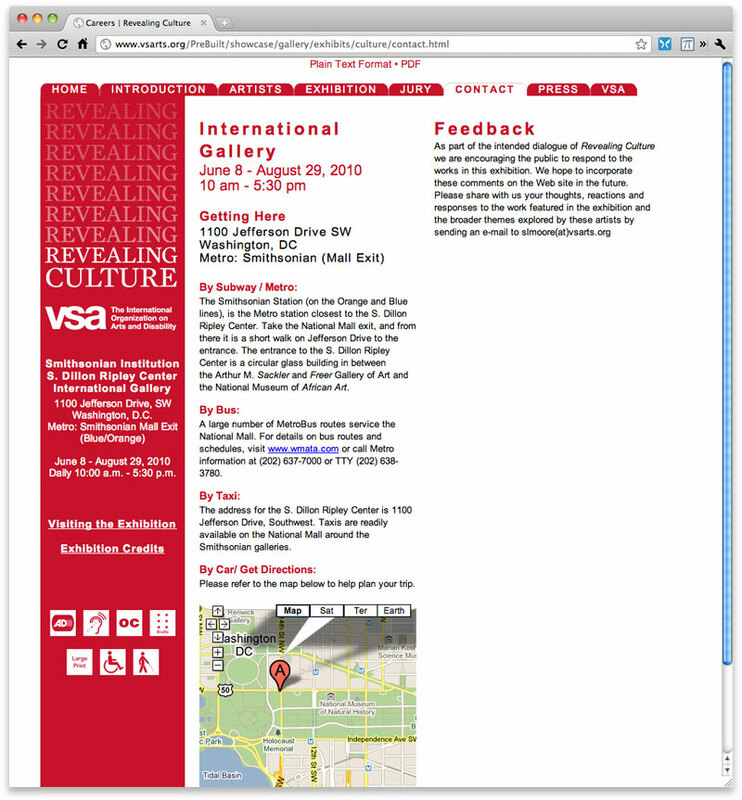 Based on what was designed by Michael Graves, I continued the concept into full execution for the entire site and additional features per the request of VSA.